Iby Kovács was born in Hungary (Europe) where she received her 15 years of professional, classical music education. There she graduated from the prestigious Franz Liszt Conservatory of Music on full scholarship and received her dual degrees in Classical Piano and Solfeggio (Music Theory). Her distinguished professors were Zita Szalay and József Gábor (Recepient of the Hungarian “Liszt Prize”) in piano performance and Mariann Spiegel and Miklós Szabó (“Liszt Prize”) in Solfeggio. Immediately after her graduation, Iby Kovács emigrated to the United States and settled down in Los Angeles, California. Here she met and continued her studies in piano performance with her mentor, Judit Pfeiffer Neszlény, the highly esteemed Hungarian concert pianist. She also taught classical piano and gave solo recitals, accompanied opera singers and choirs, and performed with chamber orchestras. After moving to the Rio Grande Valley of Texas, in 2004 she opened her Classical Piano Academy with Alejandro Gonzalez Guzmán with whom she performs and records classical piano duo programs. 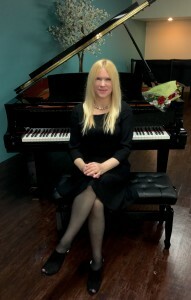 Iby Kovács is recognized as a judge for the National Piano Guild in Austin, Texas and various piano festivals and competitions. Her piano students have been prize winners at International, National and State level piano competitions and many of them today lead prominent music careers as performers and pedagogues. In 2017 Iby Kovács was inducted into the Piano Guild USA Hall of Fame. Iby Kovács maintains her own studio at the Classical Piano Academy and teaches her students the European authentic, classical piano performance.